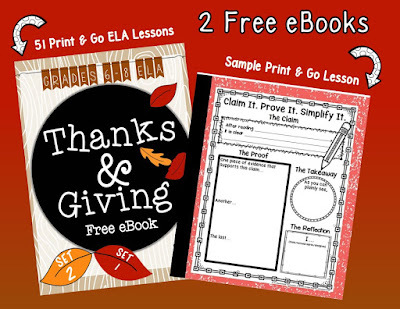 If you’re a middle school ELA teacher, you’ll definitely want to add Literary Sherri and Brain Waves Instruction to your "Things to Be Thankful For List" for compiling 51 free Print–and–Go lessons into two Thanks & Giving eBooks. 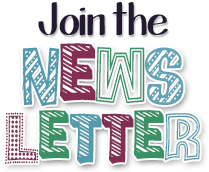 Middle school contributors from all over the country submitted one Getting to Know You page so you can find out fun facts about them - and one Print–and–Go resource so you can test drive your favorite lessons right away. My Print–and–Go contribution (shown) is from It’s All About Evidence: Graphic Organizers for Grades 5-9. It can be found on pages 30 and 31 of Literary Sherri’s collection of 26 lessons. Brain Waves Instruction is offering the other must-see collection of 25 lessons. Both books are filled with inspiring and easy-to-execute literacy lessons for the busiest group of educators in the country – English Language Arts teachers. Thanks, Sherri and Mary Beth, for compiling these fabulous Thanks & Giving collections! Of course, this wouldn’t be a proper Thanksgiving post if I didn’t include some shout outs to a few of the things I am most grateful for in this world. ...goes to my son, Sean (the Rowdyruff Boy in the middle), who makes me laugh every day. 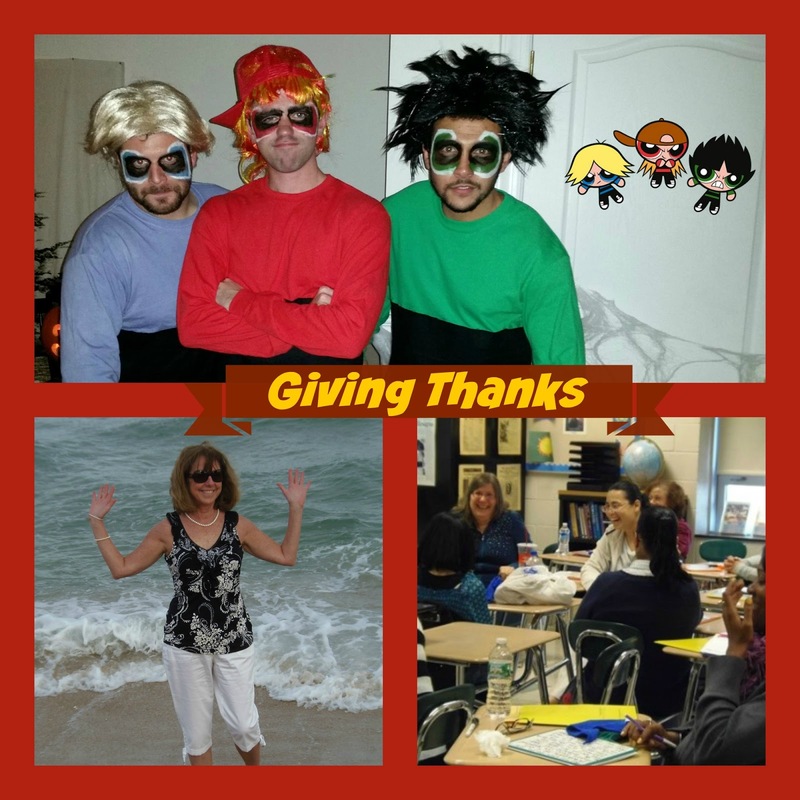 When I told him I was going to include his Halloween pic in this blog post, he added the cartoon reference - just in case a few of the readers who dropped by were not fans of the Powerpuff Girls and the Rowdyruff Boys. ...goes to the Atlantic Ocean which is a fifteen minute drive from my house. Whenever I am feeling stressed out, I hop into my car and head to the ocean. There’s just something about the smell of the salt air and the sound of the surf that help me to remember that whatever problem I’m in the middle of will work itself out as soon as I am able to relax and settle my racing thoughts. ...goes to the amazing teachers (and teachers-to-be) in New Jersey. One of the most fun parts about hosting seminars around the state is that I get to meet passionate teachers who like to share their stories and love to are willing to participate in a few unconventional, interactive lessons. So whether I’m planning for a workshop, creating a teaching resource, or attending a conference or webinar, I wake up excited to start each day. And for that I am truly thankful. Right now, I’m working on a series of Gab & Go Literacy Stations. The first set will be Gab & Go Argument Stations. This is one of my all-time favorite activities. 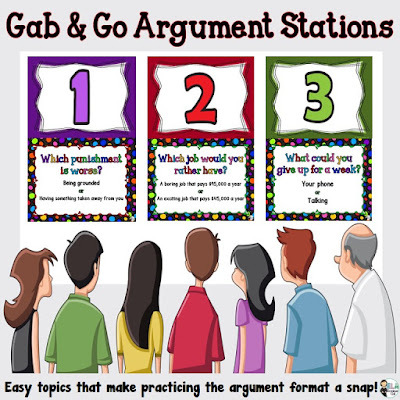 Not only do these stations make teaching the argument format a snap, they also ensure that every student is actively involved in class discussions. I plan to have the first set finished by the end of November. Future Gab and Go stations will include Gab and Go Quotation Stations and Gab and Go Inference Stations. So until next time…stay committed…teach with passion…and inspire students with who you are.